Every man is a poet in love. This eminent saying by Shakespeare came to life in this episode of K for Kishore. It turned out to be a live and kicking show, little more enjoyable than the previous one. As the rule of the show the second group of participants called ‘Bangdoos’ started a live and kicking show. Bangdoo Nayan Rathore started with the number from a very comic movie “Satte Pe Satta”. How can any one not woo to the tune of “Dilbar Mere Kab Tak Mujhe”? Nayan even wooed the judges quite the same way a strong-willed Amitabh Bachchan wooed the very beautiful Hema Malini. He paid tribute to the legendary singer with a shayari, which reminded one the way Kishore Kumar used to keep everyone engrossed with his magical voice. The spirit of Kishore Kumar still seems to linger. He got a nice total of 22, with the judges either liking the beginning or for setting the mood for the show, and as expected with Amit Kumar, he found the finishing of the song missing! Nayan was followed by Bangdoo Suhas Sawant who is born romantic and seems to fall in love as many times as he sings a romantic song but who is to be blamed when the romance is so much in the air. Trying to search for his true love, he sang “Ek Ajnabi Haseena Se” (from the movie “Ajnabi”). He was applauded by Bappi Lahri with his singular way of appreciating people with his music. His passion for music just came to the surface with “Oh Pahli Baar Mera Haath Pakad Kar Boli”. He was greatly admired by all the judges. He scored a total of 21. Amit Kumar felt Nayan has the ability to sing better with more practice. Bangdoo Chintan Bakiwala sang the very very melodious “Oh Hansini”. The lyrics of the poem, praising his lady love and speaking highly of hope and expectation is from the movie “Zahreela Insaan”. The true lover of romance admitted his love for Kishore Kumar and his versatility. With mixed opinion from the judges, Chintan managed to collect a score of 20. He was obviously enjoying himself singing on the stage, but he was marked out by Amit Kumar as “Angdosh”, as a flaw that hampers one’s singing. The next bangdoo was Kshitij Wagh, who sang a number from the romantic movie “Mehboob ki Mehndi”, “Mere Deewanepan Ki Bhi Jawaab Nahi”. This song is sung with so much passion from Kishore Kumar that it is simply very difficult to recreate the same enchantment and pure magic. The same happened with Kshitij. The judges though were not very impressed. He got an average total of 19. The show had a surprise feast for the audience with Bappi Lahri and Sudesh Bhonsle singing “Aaja Aaja” and Asha dancing as she had done years back. This act was followed by a true Kishore Kumar disciple bangdoo Saurabh Ghosh. He sang the ultimate romantic song “Hame Tumse Pyar Kitna” from the movie “Kudrat”. His trick worked and he was awarded with 23, though Supriyo seemed be finding the judges being partial towards Saurabh as he had the get up of a pure Bangali gentle man. Amit Kumar was not fooled by this act and he still commented him of missing two beats. The final bangdoo was Chetan Rana. He sang one of the most romantic song from the movie “Kati Patang”, “Yeh Jo Mohhabat Hai”. He also received mixed comments from the judges. Asha found him reminding her of the movie, Amit Kumar found his tone not cooperating with the mood of the song, Sudesh liked the beginning and Bappi Lahri as usual being kind and appreciating. He got a total of 18. 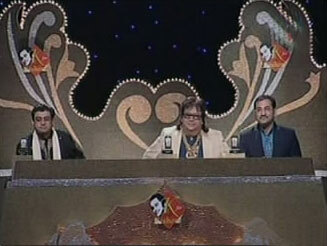 The show also marked the end of one fan of Kishore Kumar to be eliminated from the stage. The unlucky participant happened to be Pramod. He shared the danger Zone with Apurva, Vinod and Chetan. The studio audience and Judges saved Apurva and Vinod, where as the tie between Pramod and Chetan was solved with the song “Oh Raahi”. Pramod’s tone was not supporting him, and probably he new that his performance on the stage was coming to an abrupt end. He received an LG mobile phone. The show ended with hope for better performance, which definitely meant a better time coming up for the audience. Looking at the great time we are having, enjoying the timeless music by Kishore Kumar, we definitely look forward to the next weekend. Aaja Aaja Mein Hun Pyar Tera in Kishore Da style. The show had a surprise feast for the audience with Bappi Lahri and Sudesh Bhonsle singing “Aaja Aaja” and Asha dancing as she had done years back. This entry was posted on Sunday, December 30th, 2007 at 2:29 pm	and is filed under K For Kishore. You can follow any responses to this entry through the RSS 2.0 feed. You can skip to the end and leave a response. Pinging is currently not allowed. Nothing great yaar….. all bathroom off-key singers taking part in this very boring show! total fail. BAND KARO YAH HORRENDOUS SINGING….. IF THIS IS “TALENT” IN INDIA….THEN…THEN…..I HAVE NO WORDS…!!! SONY TV SHOULD BE BOYCOTTED FOR THIS 3RD RATE SHOW!! IT IS A SHAME! THESE ADULTS SHOULD LEARN SOME SINGING FROM THE 10 YEAR OLD KIDS FROM SAREGAMAPA. KYA EK EK NAMUNA HAI….WAH!!! KYA JUDGES KEY COMMENTS HAI….WAH WAH!!! KYA “TALENT” DHOONDA HAI SONY NEY….WAH!!! YEH SIRF APNA DHOBDA TV PEY DEKHNE KA BAHANA HAI AUR SONY JAISEY THIRD RATE TV CHANNEL KI BADAULAT HUMKO JHELNA PAD RAHA HAI…..! The selection of judges is simply awful. The singers are okay; it is quiet evident that they are not trained. They all consider Kishore Da their guru and the love of their guru has made them so so singers. What hurts me most is the comments of judges. Nobody gives clear indication of where what went wrong. They all say.. achha laga, aap idhar udhar bhatak gaye, malum nahin. For Amit Kumar probably this is the first time that he was called to be a judge. He needs to learn a lot. He sounds and looks arrogant. aaja aja gane ka vaat laga daala inlogon ne. if rafi fans see this it would again get into an endless debate. lol kusmubi musumbi.,,.,. strange Amit Kumar did not even bother to step on the stage. THIS IS A WONDERFUL PROGRAM AND NO ONE IS DOING ANY HARM TO THE REPUTATION OF THE PHENOMENON BECAUSE THE PARTICIPANTS ARE GREAT KISHORE DA WORSHIPPERS AND AS FAR AS SINGING TALENT IS CONCERNED THEY ARE TRYING TO DO THEIR BEST. AS FAR AS JUDGES ARE CONCERNED THEY TOO ARE QUITE EXCELLENT BECAUSE AS U KNOW LEENA IS KISHORE’S WIFE,AMIT KUMAR IS HIS SON,BAPPI LAHRI WHO HAS GIVEN WONDERFUL TRACKS WITH KISHORE DA AND OFTEN CALL HIM HIS MAMAJI,SUDESH BHONSLE IS ONE OF THE BIGGEST MIMICKERY ARTISTE INDIA HAS EVER PRODUCED HE HIMSELF IS A ARDENT FAN OF KISHORE DA. SO ALL IN ALL THEY SONY HAS COME UP WITH AN INCREDIBLE SORT OF A PROGRAM AND I WOULD CALL IT THE BEST PROGRAMOF THE YEAR 2007.SONY HAS DONE A GREAT JOB IN MEMORY OF THE GREAT ARTIST THAT THIS WORLD HAS EVER SEEN. LONG LIVE KISHORE DA AND SUCH WONDERFUL PROGRAMS . AS FAR AS COMPARISION OF THE PARTICIPANTS WITH KEEPING LEGEND KISHORE DA IN MIND IS LIKE ASKING A 90 YEAR OLD LADY TO HAVE A BOXING MATCH WITH MOHAMMED ALI. NO ONE CAN EVER THINK IN HIS WILDEST IMAGINATION TO CREATE THE TYPE OF MAGIC THAT KISHORE DA HAS DONE . TO ALL KISHORE DA FANS I M QUIET SURPRISED TO KNOW THAT U ARE NOT HAPPY WITH THIS PROGRAM BECAUSE I LOVE EVERY THING CONCERNING KISHORE DA AND WE ARE GETTING QUITE A GOOD FEEDBACK FROM HIS SON AND CO PERFORMER AMIT KUMAR ABOUT HIS VARIOUS EXPERIENCES CONCERNING HIS DAD. BUT I MUST ADMIT THAT THE SINGERS ARE NOT PROFESSIONALY TRAINED BUT DEAR WHEN U KEEP KISHORE DA IN MIND AND LISTEN TO SUCH SINGERS THAN IT IS LIKE IMAGINING A BOXING BOUT BETWEEN A 90 YEAR OLD LADY AND MOHAMMED ALI. LONG LIVE SONY FOR A AWESOME EFFORT INDEED. K for Kishore – This programme should be awarded the worst singing programme of 2007 and Sa Re Ga Ma Pa should be awarded the best singing programme of 2007. Very funny!!!!! A grand reality show tributing to the Legendrary Singer Kishore Kumar. In my opinion the singers should give emphasis on the standard of the songs to be sung by them. Kishore da had sund variety of songs, low impact, comedy, sad, romantic, etc. etc. But when he sang on the face of First Superstar of Indian ciname: Rajesh Khanna the impact were so high that no other songs can stand infront. So in coming episodes, songs picturized on Rajesh Khanna must be in larger number. However, in fourth episode the same has happened. Out of six, four were from Rajesh Khanna films. One more point: When Rajesh Khanna will be invited as Celebrity Judge, all the songs should be from his films. I STILL cannot belive it….HOW can people say that this is a “GOOD” (never mind the superlative adjectives some people have used here)…. And WHO says it will affect the reputation of the greate KK…..KK’s reputation is SOLID and will CANNOT be affected by these idiots…..
People, CAN’T you see the basic problem ? The IDEA of the show is good….ANYTHING to do with the greats (be it KK, or Rafi sahab or Manna Dey, or Mahendra Kapoor or Hemant Kumar or Mukesh…..whoever one of the legends…. Why is it that people people get upset if this show is called BAD (bad is a very dignified adjective for this SONY fiasco…mind you)…..SUHAS kyanaamhaiuska…..gets into a SAFE ZONE…..why…???? did you even bother to HEAR HOW he has sung…..did he not BUTCHER the songs ????? ?…..KAUN KEHTA HAI KI EN SAB KO KK KI TARHA AWAAZ HONI CHAHIYA ???????? Did ONE of you bother to LISTEN and LEARN from the TINY TOTS of the Saregamapa lil champs ????????? Are any of these singers COPYING the voice of the greats ? No! They are singing in their OWN voice…..and did you bother to listen to their quality of singing ? only 10 years old mind you…some of them…..aur yeh GADHON KO KISINEY GHAUR SEY DEKHA ?????? SURR PEHCHAAN NEY KI KOSHISH KI ? CHODO YAAR…YEH BEHAS PURI NAHI HOGI….KK KI REPUTATION KO KUCHCH NAHI HOGA…BAS UNK ATMA TADAP UTHEGI…!!!! Take a look here. Listen to the “TWELEVE YEAR OLD” ROHIT SHYAM who sang “OM SHANTI OM” and then listen to the same song (was it a song ?) sung by an idiot who goes by the name of SUHAS (ALSO….look for the judges comments in BOTH shows)……NOW see for yourself if what SONY has done is good or bad…!!! Do you agree that ROHIT is the PRINCIPAL of the school where SUHAS the fatso is TRYING to sing ? It is not fair for anyone to be compared with a legend like Kishore Kumar. A singer like him come one in million years. Whenever anyone sing Kishoreda’s song “original” voice takes over your mind and everyone else started to sound like micky mouse. An obvious thing is that none of the singers on this show are trained. Also while comparing with other singing show keep in mind that on other shows like Sa Re Ga Ma Pa or Indian Idol top music gurus train the singers behind the scene (have you heard those singers during primary stages of these other competitons, for example Indian Idol, they sound worst then a crow). Another thing is the voice quality of Sony Channel it self is very very bad (compare voice quality in Indian Idol with Sa re Ga Ma Pa on Zee TV). I think all the participants are trying their best to sound (and act) like Kishoreda and in those efforts the music and singing quality is being compromised. Whatever anyone says it still needs guts to try to fit in to Kishoreda’s shoes and these participants are not the best but at least with their efforts paying great tribute to the Shehanshah of Indian Fimly Music. After everything is said and done I still prefer this show over those ridiculous & pathetic sas-bahu and other neverending serials which challange our intlect. So cheers everyone and enjoy this show and sing yourself with these singers if you don’t like them. If nothing else Amitkumar’s sharing of legend’s life should cheer you up. I am rafi fan, also like kk. if you want to respect Kishore da…..then pl. stop this programme, otherwise it will be big loss to only kishore da. It is only money earning formula of failure singer Amit kumar & Sudesh Bhosale. Why they not call Sumit Kumar, a family member. Chandrashekhar bhai, I agree again with you, but, this is just to make the show more talented and competitive. I BELIEVE EVERY ONE HAS THEIR OWN WAY OF THINKING AND THE THINKING POWER OF EACH INDIVIDUAL OFTEN BUILTS UP WITH EXPERIENCE AND KNOWLEDGE AND AS A MATTER OF FACT ONLY BROAD MINDED PEOPLE COULD POSSIBLY COME UP WITH GOOD COMMENTS AND IDEAS INCLUDING REASONABLE POINT OF VIEWS WHO RESPECTIVELY KNOWS HOW TO TALK AND WHAT EXPRESS IN ANY SITUATIONS OR IN DAY TO DAY LIFE. IAM GLAD THAT FEW GENTLEMEN WHO WROTE INCREDIBLE COMMENTS BASED ON REALTY AND TRUTH. THANKS GUYS TO BE SO CREATIVE AND I DO RESPECT YOUR MATURED BRAIN POWER, UNDERSTANDING AND GREAT SENSE OF HUMER. HOW EVER EVERYONE SHOULD MIND THEIR OWN BUSINESS BECAUSE WE HAVE JOINED THIS BEAUTIFUL SITE TO GIVE OUR COMMENTS BUT NOT TO OFFENED OR INSULT ANYONE. JUST TRY TO BE NICE AND IF SOMEONE DOESNT WANT TO NICE THAN PLEASE DONT TRY INTERFERE. I HAVE READ IN COUPLE OF ARTICLES THAT PEOPLE TRYING TO BE TOO PERSONAL AS NO ONE HAS ANY RIGHT TO OFFEND OR INSULT ANY PARTICIPANTS OR INDIVIDUAL. IT DOESNT SOUND GOOD AT ALL. 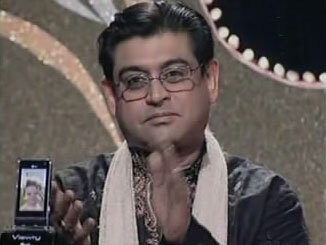 MY QUESTION IS WHY PEOPLE ARE AFTER AMIT KUMAR, WHY THEY ARE WORRIED ABOUT HIS VOICE AND HIS LOOK. NO ONE SHOULD EVER GO ON ANYONES PERSONALITY INSTEAD THEY SHOULD RESPECT AMIT KUMAR WHO IS INDIAS WELL KNOWN ARTIST. HE HAS GOT GOLDEN VOICE SIMILAR TO HIS DADS. LET ME TELL YOU THAT LORD HAS CREATED EVERY HUMAN BEING WITH DIFFERENT LOOKS AND PERSONALITY AND THATS WHAT GODS CREATION IS, SO HOW CAN WE CHANGE ANY ONES LOOK. THINK ABOUT IT, FOR ONE INSTANCE WE ARE HERE AND THE OTHER WE ARE GONE FOR EVER SO WHEN WE ARE ALIVE BETTER BE NICE AND TRY NOT TO CONDERM ANY ARTIST OR ANY INDIVIDUAL. LIFE IS TOO SHORT, TRY TO ENJOY AND GET ALONG WITH EVERY ONE. ABOUT THE NEW PARTICIPANTS, THEY DONT HAVE MUCH EXPERIENCE IN SINGING BUT ATLIST THEY ARE TRYING TO SING LIKE KISHOREDAS. IT IS VERY TRUE THAT NO ONE CAN EVER BECOME ANOTHER KISHOREDA BUT THESE POOR PARTICIPANTS HAVE SOME KIND AMBITION, TRYING TO BUILT UP THEIR CAREER AND GET RECORGNIZED IN SOCIETY. WE DONT KNOW HOW PROUD AND HAPPY THESE PARTCIPANTS ARE ?. WE SHOULD ENCOURAGE THEM AND HELP THEM OUT TO BECOME INDIAS BEST SINGERS. NEVER HURT ANYONE BY SAYING BAD WORDS. IF YOU DONT WANT SAY GOOD THAN DONT SAY BAD EITHER. SONY TV IS DOING GREAT, AT LIST THEY HAVE BROUGHT UP A NEW SHOW AND THE WORLD IS HAPPY WATCHING THIS WONDERFUL SINGING COMPETION DEDICATED TO KISHOREDA AND THERE IS NO WAY THAT HIS REPUTATION CAN EVER BE DISTROYED. IN ADDITION WE ARE SOME HOW ENTERTAINED BY SONY TV AND IF ANY ONE DOESNT LIKE THIS SHOW THAN DONT WATCH IT. NO MATTER WHAT I WILL WATCH THIS SHOW BECAUSE IAM LEARNING SOMETHING NEW OUT OF IT. – your thinking power is good. – you know how to talk. – your point of view is reasonable. And as you say, all the rest are exactly the opposite!!! Well, thank you. Guys, even if the show is bad, the singers are bad, even if it is a fact that Sony did not bother to find the limitless talent in India, instead they found idiots with lousy voice etc etc…you MUST be REASONABLE, be good and make GOOD COMMENTS!!! Yaar meri samajh mein nahi ata…..hadd ho gayee……EVERYONE keeps harping about “singers do not have experience”……yeh kya excuse hai…!!!???? Saregamapa waley jo BACCHEY hai…kya woh log EXPERIENCED HAI KYA ???????? But whey bother…if these guys say it is a good program……. Chhodo yaar…..yeh behas ab band karo! THANKS FOR YOUR COMPLIMENTS AND I DO APPRECIATE YOUR NICE WARM WORDS WHICH REALLY TOUCHED MY HERAT. YOU MADE ME HAPPY. HONESTLY DID LIKE YOUR COMMENTS TOO. IF YOU GO BACK TO MY LAST ARTICLE I DID MENTION THAT FEW GENTLEMEN WROTE OUTSTANDING COMMENTS, ACTUALLY I MEANT YOURS AND COUPLE OF OTHERS. I DO ENJOY READING YOURS AND FEW OTHERS BECAUSE WHOEVER TALKS ON TRUTH AND REALTY MAKES ME FEEL GREAT. NOW I BELIEVE THAT THERE ARE STILL MUCH BROAD MINDED PEOPLE ALIVE IN THIS WORLD WHO DOESNT HURT ANY ONES FEELINGS BUT KNOWS EXACTLY WHAT THEY TALKING ABOUT. THATS TRUE MY FRIENDS AND FAMILY DO TAKE KNOWLEDGE AND IDEAS FROM ME TIME TO TIME BUT TRUST ME I ALSO TAKE KNOWLEDGE FROM PEOPLE LIKE YOU. YOU ARE DOING GREAT AND PLEASE TRY TO KEEP UP WITH YOUR GOOD WORK. TAKE CARE AND BYE FOR NOW. I SALUTE TO YOU SIR COZ I HAVE GOT SIMILAR SORT OF VIEWS AS OF YOUR I HIGHLY APPRECIATE PEOPLE LIKE YOU COZ YOU HAVE REALLY GOT GREAT SENSE OF MUSIC .BEING A DIE HARD KISHORE DA FAN I WOULD NOT NOT MIND IF SONY PEOPLE DOES NOTHING BUT GOES ON DISPLAYING THE VARIOUS PICTURES OF PHENOMENON KISHORE DA FOR FULL ONE HOUR AND DOES NOTHING ELSE . SONY HAS DONE A FABULOUS SORT OF JOB THEY MUST BE CONGRATULATED FOR THEIR EFFORTS OF DEDICATING A SHOW RELATED TO THE GREATEST ARTISTS THE WORLD HAS EVER SEEN. KUDOS TO SONY PEOPLE FOR REMMEMBERING THE ALL IN ONE ARTIST. THIS IS THE PROGRAM DEDICATED TO ON EOF THE GREATEST EVER SINGERS THIS WORLD HAS SEEN. STILL COMPARING PEOPLE WHO COMPARE KISHORE DA WITH OTHER DO THIS. I WAS EXPECTING YOU VIKASH, ( KAHETE HAIN KI SAMAJHDAAR KE LIYE ISHARA KAFI HAI) TRUST ME YOU ALSO HAVE GOT VERY POWERFUL SENSE OF HUMER JUST LIKE SHEKHARS BECAUSE YOU SENSED OUT VERY RIGHT THAT I MEANT YOURS AND SHEKHARS COMMENTS IN PREVIOUS ARTICLES WAS VERY CREATIVE AND MIND BLOWING. HONESTLY, I HAVE SEEN THIS WORLD VERY CLOSELY THAT PROBABLY LESS THAN 10% OF PEOPLE LEFT BEHIND WITH FAIRNESS AND JUSTIFICATION BUT AFTER GOING THROUGH YOURS AND HIS COMMENTS I FELT SO HAPPY BELIEVING TRUE PEOPLE ARE STILL AROUND. I DO ADMIRE YOU AND SHEKHAR BECAUSE YOU BOTH ARE MEN OF DIGNITY AND RESPECT SO PLEASE ALLWAYS TRY TO KEEP UP WITH TRUTH AND REALTY. IN FUTURE IF YOU AND SHEKHAR DO LIKE TO SHARE COMMENTS AND IDEAS AMONG US THAN PLEASE FEEL FREE TO EMAIL ME AT YOUR CONVENIENCE. THANKS, TAKE CARE, BYE. THANKS FOR YOUR COMMENTS AND APPRECIATION,IT IS PLEASING TO KNOW THAT U LIKED MY COMMENTS. IT IS EVEN MORE EXCITING AND WONDERFUL TO KNOW THAT PEOPLE LIKE YOU WHO R IN CANADA (I ASSUME FROM UR ID) HAS GOT MAGNIFICIENT SENSE OF MUSIC AND R GREAT LOVERS OF ONE AND ONLY KISHORE KUMAR.PLEASE SHARE WITH US THAT WHETHER KISHORE DA RECORDS ARE EASILY AVAILABLE IN CANADA OR U HAVE TO DO SOME SORT OF SPECIAL EFFORTS IN ORDER TO GET THEM. You say that if imitators of Rafising badly it won’t detract from Rafi’s merit.But you make a mistake here. you must first acknowledge that Rafi was a great singer with tremendous training whereas Kishore was just a passable crooner without any training.No fan of Rafi will dare to sing his songs unless he had Rafi like voice and training.The programme on Kishore has permanently exposed Kishore and the kind of followers he attracts.The programme has fully justified my critique of Kishore on this site in Rafi-kishore debate. Singers, who need training and who learn on the earth are just practicing singers, but, remember, Kishoreda were trained in heaven, as it is evident in his voice. Kishoreda is a great gift from our creator. Without Kishoreda singing, I do not imagine any superiority of Bollywood. I would say Rafi Saheb and Mukeshji were good singers also, but, but Kishoreda were just superb. Don’t you think, the singer who needs training, practices more and sings normal, where as the singer who does not training and practice and sings superb, is the greatest singer. Think about this logic. I think you are thinking up-side-down. Kishoreda’s throat was perfectly tuned by our creator, who did not need any training and/or practice. I HAVENT ANY SUCH WORD TO EXPRESS YOUR EXCELLENCY BUT I WOULD ONLY SAY THAT YOU ARE A PERFECT MUSIC MINDED PERSON WHO HAVE GOT TONS OF EXPERIENCE AND UNDERSTANDING AND HAVE GOOD ART AND SKILLS TO GET ALONG WITH PEOPLE AROUND THE WORLD. IT IS VERY TRUE THAT I LIKE TO READ YOUR SOLID AND POWERFUL COMMENTS WHICH IS NORMALLY BASED ON TRUTH AND REALITY. I HAVE SEEN YOU REALLY DONT PARTICIPATE SO OFTEN, (WHICH IS VERY GOOD) BUT WHEN EVER YOU DO WRITE, YOU MAKE ME FEEL GREAT. KEEP IT UP VIKASH. YES, THERE ARE UNLIMITED MUSICAL CDS SOLD IN ENTIRE CANADA AND I HAVE GOT GREAT COLLECTIONS OF ALL SINGERS, SPECIALLY KISHOREDAS, RAFI SAHABS, MUKESH JIS, KUMAR SANUS, UDITS, LATAS AND MUCH MORE. TRUST ME OVER HERE ANY CANADIAN CAN AFFORD TO BUY TONS OF MUSICLE CDS AND DVDS WITH CANADAS STRONG LOONY. I DO SAVE MY TIME IN DOWNLOADING AND BURNING FREE SONGS FROM SO MANY WEB SITES. AS A MATTER OF FACT IAM ALSO GIVING CREDIT TO MR. ASHWIN PATEL WHO ALSO WROTE OUTSTANDING ARTICLES LIKE YOURS AND SHEKHARS. SO NICE OF YOU ASHWIN. ALL MY MASTER MIND BUDDIES, ( VIKASH, SHEKHAR AND ASWIN )THANKS ONCE AGAIN AND I DO LOOK FORWARD TO READ YOU GUYS COMMENTS AND BELIEVE ME SOONER OR LATER YOU GUYS WILL BE RECORGNIZED AROUND THE WORLD. TAKE CARE AND SEE YA AGAIN, BYE. Sir i can’t express my feelings regarding your excellent music sense it seems u are a true music lover and a down to earth man.As far as myself is concerned i m just a ordinary boy of 26yrs .I love sports and music and i adore and worship singers like kishore da,rafi sahib,mukesh,lata,asha,nusrat fateh ali khan,gulam ali,jagjit singh and others but mostly i enjoy kishore and rafi sahib. i cant tell how happy i m to know that there r huge outlets of good music shops in canada where people can buy kishore da’s records and it is also good to know that you have a huge collection of kishore kumar songs. Here are two great sites for kishore da’s songs.thanks for admiration its people like you who are really music lovers and understand the depths of this world. AS OF TODAY I WILL TREAT YOU AS MY YOUNGER BROTHER BECAUSE YOU HAVE GIVEN ME SO MUCH RESPECT AND DINITY. NOW I FEEL I HAVE GOT SOME ONE VERY SPECIAL IN INDIA. I DO ADMIRE YOUR KINDNESS AND SINCERITY. VIKASH, PLEASE NEVER GET DISHEARTED OR DISSAPOINTED THINKING THAT YOU ARE JUST AN ORDINARY OR AN AVERAGE MAN. THINK POSITIVE AND GET POSITIVE RESULTS. ( ANY HOW YOU ARE DOING GREAT). LET ME PLEASE TELL YOU SOMETHING, THE EXPENSIVE WEALTH YOU HAVE GOT WITH YOU IS YOUR THINKING POWER AND YOUR LOGIC SKILLS WHICH IS THE TOOL OF GREAT SUCCESS IN YOUR COMMING FUTURE. BROTHER IAM PROUD OF YOU THAT IN THIS YOUNG AGE OF 26, YOUR THINKING LEVEL AND THE WAY OF EXPESSING LOGIC IS MUCH ABOVE THAN MILLIONS. IT IS A BIG SURPRISE FOR ME, IAM SO PROUD OF YOU. INDIA IS A UNIQUE COUNTRY, FROM WHERE OUR INDIAN MUSIC IS BORN AND AS A RESULT SO MANY ARTIST FROM INDIA HAS SHOOK THE WORLD WITH THERE TARLENTS. I HAVE JUST SEEN KISHOREDAS (HUM TO MOHHABAT KAREGA EPISODE#7) I WATCHED THIS SCHENE (PIYA PIYA PIYA MERA JIYA PUKARE) SEVERAL TIMES AND ENJOYED A LOT. ESPECIALLY I LOVED WATCHING ( MISS.ADITI PAUL) WHO RESPECTEDLY WAS DRESSED UP IN NICE GREEN SAREE AND PERFORMED HER SINGING SO WELL. YOU KNOW VIKASH, SUCH TYPE OF INDIAN DRESSING, ARTISTS AND PEOPLE CAN ONLY BE FOUND IN INDIA. AS A MATTER OF FACT SOME TIMES I DO QUESTION MYSELF, WHY I AM NOT BORN IN INDIA? AND THE ANSWER IS THAT IT WAS NOT IN MY FATE TO BE SO LUCKY AS YOU. (WOHI INDIA ME JANAM LETE HAIN JO KUSH NASEEBH HOTE HAIN )JAESE AAP VIKASH. IT IS VERY TRUE THAT WE CAN AFFORD TO BUY ALMOST EVERY THING IN CANADA EXCEPT HAPPINESS. OUR LIFE KEY IS ONLY, WORK HOME, WORK HOME, AND THATS ALL ABOUT WE KNOW OVER HERE. PEOPLE OF CANADA ARE UNDER PRESSURE DUE TO VERY FAST MOVEMENTS AND LACK OF TIME. YES, MONEY IS HERE BUT EVERY ONE IS STRESSED OUT. YOU KNOW VIKASH, CANADA IS NOTHING COMPIRE TO YOUR SWEET INDIA. HOWEVER IAM PLANNING TO VISIT INDIA PROBABLY IN COUPLE OF YEARS, SO LETS SEE IF MY DREAM COMES TRUE. I HAVE HEARD IT IS PLACE TO VISIT. VIKASH PLEASE FEEL FREE TO CHAT WITH ME OR EMAIL ME AT YOUR CONVENIENCE. AT LAST I THOUGHT TO SAY HI TO ( ASHWIN JI, SHEKHAR JI AND TO ALL OTHERS ) WHO HAS BEEN WRITTING WONDERFUL COMMENTS AND FOR THERE GREAT EFFORTS AND HARD WORK. VIKASH MY BROTHER, LET ME KNOW BY EMAIL IF YOU DO NEED SOME CD SONGS ETC. THANKS, SEE YA, BYE. Thanx for treating me as your younger brother,we may not be brothers by birth or we may not have met with each other but still the kind of thinking that we share is above all these relations .I HAVE GOT SOME OF MY FRIENDS IN U.K AND AUSTRALIA BUT NONE OF THEM HAVE GOT THE SORT OF ADMIRTION AND GOOD THINKING REGARDING INDIA THAT YOU HAVE GOT , COZ THEY ARE TOO INVOLVED IN MATERIALISTIC SORT OF THINGS AND THEY WANT TO EARN MORE AND MORE THEY DONT WANT TO THINK OR TALK ABOUT THEIR RICH CULTURE THEY GO ABROAD SETTLE THERE AND SLOWLY START TO FORGET ABOUT THE CULTURE AND THEY TRY TO GET WORDLY PLEASURES THROUGH THE BLIND COMMERCIAL RACE THAT IS GOING ON. I HIGHLY APPRECIATE UR LIKING ABOUT THE INDIAN LIVING STANDARDS BROTHER THE WESTERN WORLD DEPICTS INDIA AS THE LAND OF SNAKE CHARMERS AND HIGHLIGHT THEIR POVERTY BUT THEY ACTUALLY DONT WANT TO DEPICT THE REAL POTENITAL THAT INDIA HOLDS DUE TO ITS SOUND UNITED FAMILY CULTURE COZ THAT COULD HAVE A DEVASTATING EFFECT ON THE WAY THEY THEMSELVES LIVE THEIR LIFE WHERE THE MATTERS OF DIVORCE AND DEPREESION ARE INCREASING DAY BY DAY STILL THEIR IS NO REASON FOR PEOPLE LIKE YOU WHO HAVE SUCH STRONG ROOTS HERE IN INDIA TO LAMENT ON THE FACT THAT YOU WERE NOT BORN IN INDIA COZ WHAT MATTERS IS THE AWAY YOU TREAT UR MOTHERLAND AND NOT THE CASE THAT WHERE U GOT BIRTH. FURTHER IF YOU REALLY WANT TO GET MENTAL PEACE RATHER THAN THE MATERIALISTIC ONE THAN INDIA IS THE ONLY PLACE IN WORLD WHERE YOU CAN LOOK FORWARD TO. BROTHER AS I SAID YOUR THINKING IS SIMILAR TO ME I ALSO NOTICED THE SPLENDED GIRL ADITI PAUL SHE IS THE WAY THE WOMEN OF INDIA SHOULD BE DEPICTED TO THE REST OF THE WORLD SHE HAS GOT A GOD GIFTED VOICE AND HER DRESS SENSE THAT TOO A TRADITIONAL ONE WHEN THE OTHERS WHERE IN LONG SKIRTS IS JUST MINDBLOWING . KK is a legend and no one can ever have his voice for the simple reason that no one is KK. But those who are criticising (on people who are singing his songs and the programme), basically are the ones who do not have any sense of music and singing. Singing is divine; in any form and only KK’s voice has been so intriguing, so its worth to try to be LIKE him. For the sake of your own culture where you are brought up, do not ever abuse music and singers !!! AS BEING THE ONLY GOLDEN VOICE OF KISHORE KUMAR HONOURED AT KHANDWA M.P.BASED IN MUMBAI I WAS NOT ABLE TO PARTICIPATE IN THE SHOW AS I AM WORKING WITH A NATIONALISED BANK AND WAS NOT ALLOWED TO TAKE ONE MONTHS LEAVE FOR THE SAME. ORFOR LATEST MUSIC VDO OF THIS SINGER. IAM SO SORRY THAT I COULDNT ABLE TO RESPOND TO YOU MORE EARLIER. AN IMPORTANT ISSUE CAME UP AND I WAS BUSY DEALING WITH IT. YOU ARE MY VERY KNOWLEDGEABLE YOUNGER BROTHER AND IAM PRETTY SURE YOU WILL UNDERSTAND ABOUT OUR FAST LIFE IN CANADA. PLEASE FORGIVE ME FOR ANY INCONVENIENCE. THANKS A LOT FOR PROVIDING ME YOUR EMAIL AND I WILL TRY TO CORESSPOND WITH YOU MORE BY EMAIL. PLEASE ALLOW ME FEW MORE DAYS AND LET ME FINISH WITH MY IMPORTANT ISSUE. I WILL GET BACK TO YOU AS SOON AS IAM DONE WITH IT. I JUST ENTERED THIS SITE TO QUICKLY LET YOU KNOW ABOUT THIS BUSINESS RELATED ISSSUE. YOU ARE VERY IMPORTANT TO ME AND NEVER THOUGHT TO MAKE YOU UPSET BY NOT RESPONDING. MY BROTHER I BELIEVE OUR COMMUNICATION MUST NOT BREAK OK. HOWEVER, ABOUT YOUR LAST COMMENTS, IT SOUNDED VERY VERY VERY SWEET. YOU DO TALK LIKE AN EXPERT. YOU ARE TOO GOOD IN GENERAL KNOWLEDGE AND I DO ADMIRE YOUR SKILLS. VIKASH IF YOU HAVE TIME THAN PLEASE GO A HEAD AND WRITE MORE GOOD COMMENTS ABOUT THE ( HUM TO MOHHABAT KAREGA SHOW) I LIKE TO SEE YOU GIVING SOME COMMON SENSE TO WHO EVER WRITE NON SENSE. PLEASE DO SO AND I WILL BE HAPPY TO READ YOURS AND LEARN MORE OUT OF YOU. TAKE CARE OF YOUR SELF AND FEEL FREE TO EMAIL ME. I WILL EMAIL YOU SOON OK. BYE FOR NOW. THERE IS NO PROBLEM REGARDING THE LATE REPLY FROM YOU BECAUSE WORK IS MORE IMPORTANT THAN THESE KIND OF DISCUSSIONS,I REALLY APPRECIATE YOUR WORK ALCHOLIC NATURE. BROTHER I WANT TO WRITE MORE BUT IT IS DISHEARTNING TO SEE PEOPLE WHO LOVE COMPARING THE IMMORTAL LEGENDS THEY JUST DONT SEEM TO HAVE ANY SORT OF VALUABLE MUSIC SENSE FURTHER I ALSO THINK THEY DONT EVEN RESPECT THEIR ELDERS ,THEY JUST WANT TO CREATE SOME SORT OF DISCOMFART AND A FEELING OF CHAOS AMONG THE MUSIC LOVERS AROUND THE WORLD. HOWEVER THIS IS NOT THE EXCUSE FOR NOT WRITING OR POSTING ANYTHING COZ THAT WOULD ENCOURAGE THOSE KIND OF ELEMENTS AND SO I WILL CONTINUE TO POST THE COMMENTS WHENEVER THERE I FEEL IT IS GOOD TO POSTED .I JUST DONT WANT TO WRITE UNNECESSARY SORT OF VIEWS COZ I BELIVE IN THESE LINES . “SPEAK LESS THAN YOU KNOW AND HAVE MORE THAN YOU SHOW”. TAKE CARE ELDER BROTHER AND HOPE FOR THE BEST. 1. On Dt. 20.1.2008 at 11.20 am (morning), I was trying to record my song for ‘K for Kishore’ at 12900 of Tata Indicom phone number. 3. I could connect at 12900 at around 11.20 am, I got automated response/ instruction to sing & record my song. Then I completed singing for around 3 minutes, provided my name, address & age. Then I got automated response “this is what has been recorded just now”, and my song was replayed. After this, I should have got response either to sing again or to submit the song which was sung & recorded. But, again I got automated response to sing & record the song. Going by instruction, I again sang. Then again I got automated response “This is what has been recorded just now”, and again my song was replayed. Then again, I was asked to sing. So, you will find that I was asked many times to sing the song, rather than allowing me the opportunity to submit the recorded song. This continued for a long time without allowing me to submit the recorded song, and ultimately my prepaid balance amount got exhausted & thus I was deprived of submitting the recorded song & deprived of taking part in the competition. 4. Why it can not be assumed that improper working of Tata Indicom No. 12900, as mentioned in point no. 3, was intended to get undue revenue for Tata Indicom by not allowing the caller to ‘Submit’ the recorded song and hence forcing him to continue to stay On Line for a long time. 5. I lost an opportunity for competition, in spite of making call at 12900 & paying high charges. 6. I purchased Tata Indicom No. & handset on 19.1.2008, only to participate in this competition of “K for Kishore”. 8. If my grievance is not addressed duly, I may take this matter, may be in media or in ‘court of law’. Waiting for your kind urgent reply on my following office address. iam Raza from lahore pakistan.iam doing bussiness in lahore .i just see the programme k for kishore .i feel that i can praticipate this programme and can win this .can u people check my voice and gave comments on it,iam not a professional singer but if i focus on singing i can prove that iam the best. its my first try for singing.people can check my voice through this link. how can i paticipate in this programme .